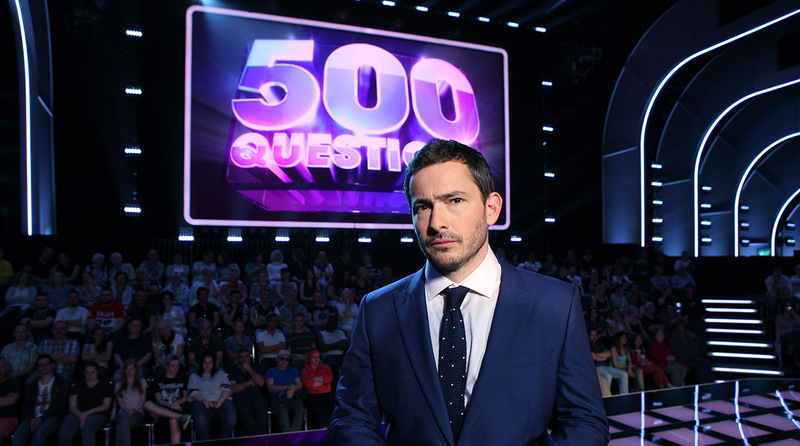 Wall To Wall Media’s US quiz show 500 Questions has turned to ionoco technology and systems to power the UK version of it's hit show. The format challenges self-proclaimed geniuses to prove they are as smart as they think are, bombarding contestants with a ‘relentless’ stream of general knowledge questions. UK broadcaster ITV launched the 4x60 mins prime time event yesterday (22 August), hosted by TV presenter and newspaper columnist Giles Coren. ionoco has provided all the studio graphics and gameplay systems, which include multiple synchronous millisecond timer clocks and LED screen feeds. The company’s bespoke game-show technology also synchronously controls the lighting cues and effects, along with the play-out audio. The management of the question data and the pre-show proofing is also handled by ionoco’s proprietary system.